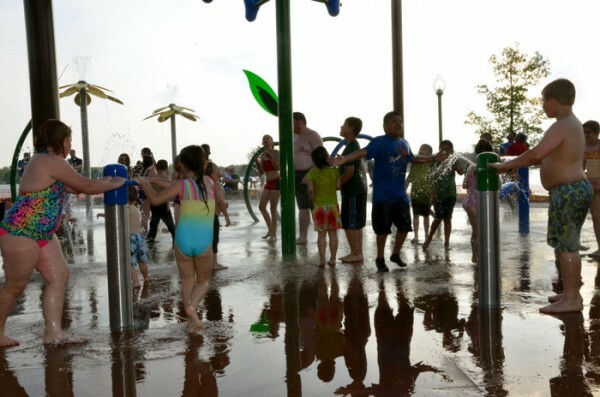 The long awaited Winona Lake K21 Splash Pad turned its waters on to invite the public in to play on Friday, May 15. Children and adults alike showed up today donned in swimsuits with towels in hand to celebrate the long-awaited soft-opening of the Winona Lake Limitless Park K21 Splash Pad. The splash pad, which has been in the works for just over a year, was part of a three-phase project launched by the Winona Lake Parks and Recreation Department. 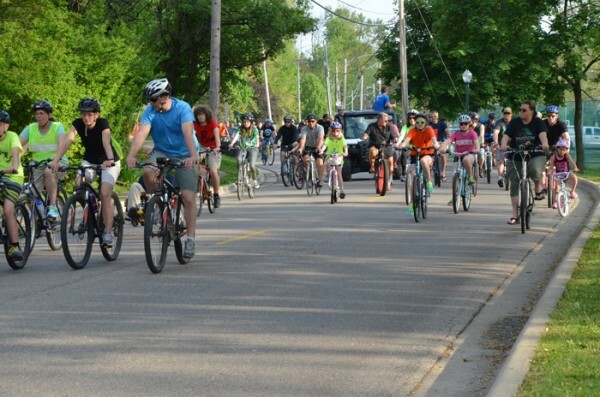 The event was followed by the community ride in honor of the annual Fat and Skinny Tire Festival in Winona Lake and Warsaw. The park will include the renovation of the current playground, creating a new, revolutionary play area for people of all ages and abilities, as well as a new beach access, an accessible splash pad and sand-play area and universally accessible, year-round restrooms. According to the Limitless Park master plan, the vision for Winona Lake Limitless Park “is to create a place that embraces the natural beauty of the surrounding environment and engages everyone in “limitless” play.” The master plan notes that limitless is defined as including children who are typically developing, have neurological disabilities, intellectual disabilities, require wheelchairs or other medical equipment, have physical disabilities and/or have social or emotional difficulties. 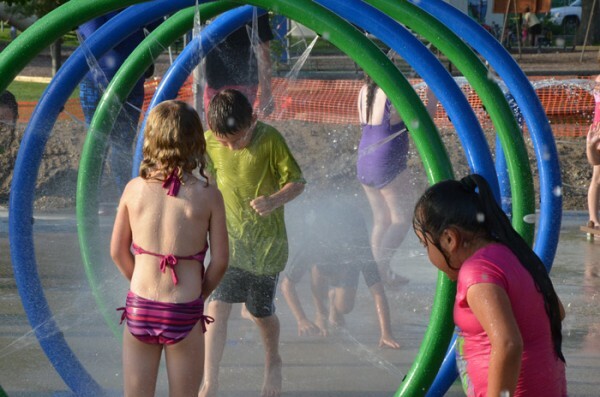 The splash pad included a variety of fun activities including water guns, tunnels and a gentle water play area. The ribbon-cutting was the first stop of the mass community kick-off ride that took place today to celebrate the opening of the Fat and Skinny Tire Festival in both Warsaw and Winona Lake. Erin Porter, Winona Lake Limitless Park committee chair, extended a big thank you to both the community and those who have given their time, money and support to the project. Porter noted recent donors included KREMC, who gave $5,000 for the building of the playground, and the Kosciusko County Visitor’s Committee, which gave $50,000 to the project as well. Though the splash pad is finished, much work and fundraising is yet to be done. The official opening of the splash pad will take place Saturday, May 16, and Sunday, May 17, with the park open from 11 a.m. to 6 p.m. daily starting Memorial Day weekend. Anyone interested in donating to the Limitless Park should download the Limitless Park Brochure or visitwww.winonalake.net/limitlesspark.htm.